The value of pipe #011 is n/a points. Bill Braddock offered these pipes on AOL. I learned about him too from Baker Egerton. 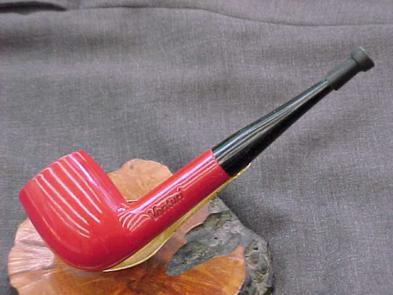 Bill sold me this one and a blue pot which you can find on the Pipes Sold page. Finally it came this one's turn to be sold in favor of an un-smoked one with the price sticker still on the mouthpiece. Charles Wood bought it.